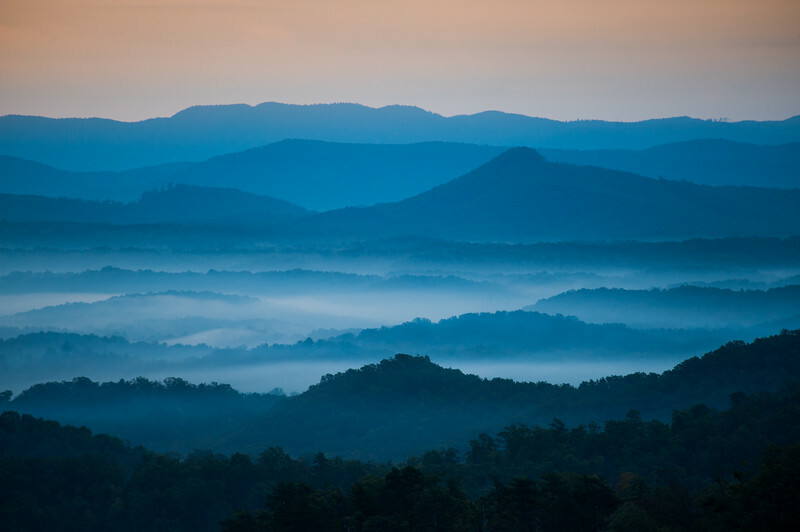 The mountains on the Blue Ridge Parkway welcome the morning with light and mist. Fog is forming in the valley as the sun comes up lighting up the day. Enjoye!